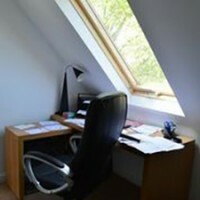 Due to the changing nature of the workplace and more people working freelance or choosing to work from home, an increasing number of our customers are using their loft conversion to provide them with a bespoke office space. 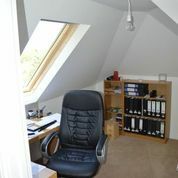 An office in the loft works really well as you can usually guarantee a quieter environment away from the hubbub of the rest of the house. You are also less likely to be interrupted as people won’t need to pass through to get to other rooms. If you are inspired by the idea of creating a home office in your loft then it’s worth taking some time to think through the detail of how you will use the space at the design stage. 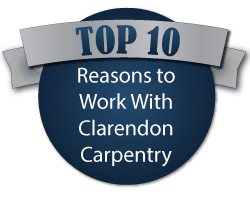 This will help to ensure that you achieve the most effective work space for your needs. 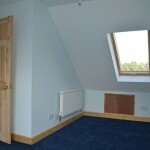 Getting the right light in your office loft conversion is essential. Make the most of natural light but eliminate screen glare. 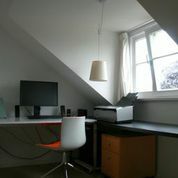 Think about where your desk will be to make the most of the natural light, but also to minimise glare on your computer screen. Make sure there are plenty of electric c sockets in the area of your desk to manage all the plugs needed, including extra desk lighting. Do you really need a shower room, or just an extra toilet? A toilet would be really handy, but including a shower might be taking space from your office unnecessarily. It may also encourage family members to come up to the loft when you’d rather be left alone. 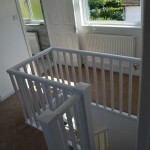 Is your office loft conversion just for you or will you be meeting with clients too? 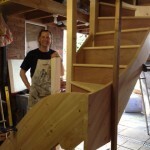 Would it be useful for you to conduct occasional meetings in your loft? If so, then plan in some space for appropriate seating and perhaps an additional coffee table. You may also want to consider tea and coffee making facilities with a mini fridge for milk. Having got all this right, it would be irritating to have to go downstairs to fill the kettle, so make sure the sink in the toilet is the right design to allow you to fill up easily enough. 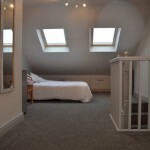 For advice and guidance on creating your ideal office loft conversion get in touch today.